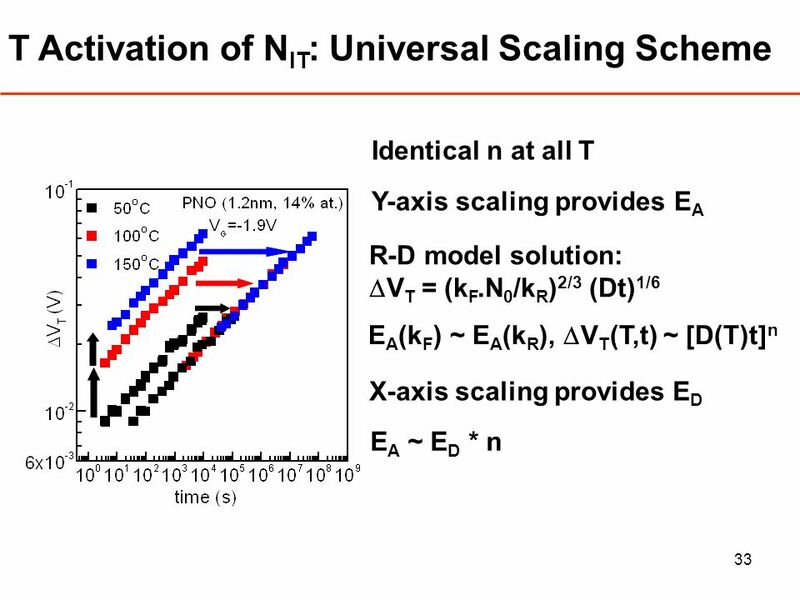 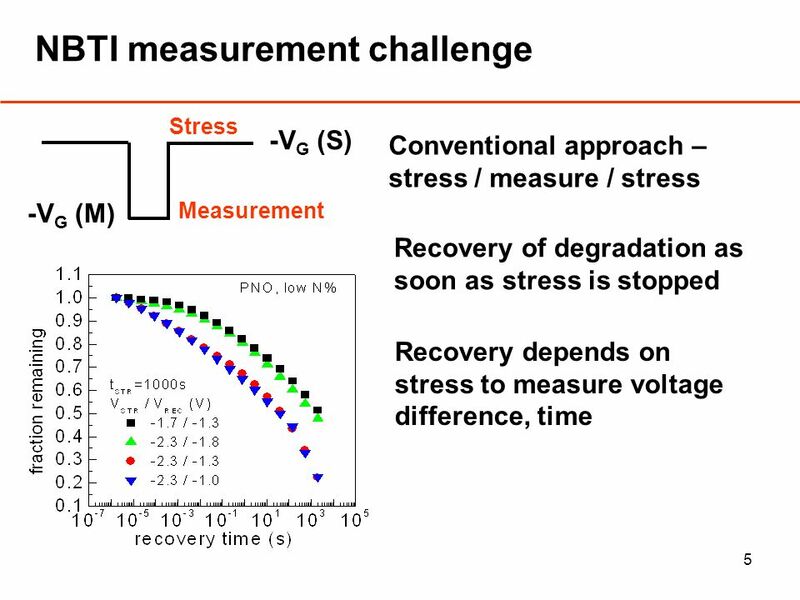 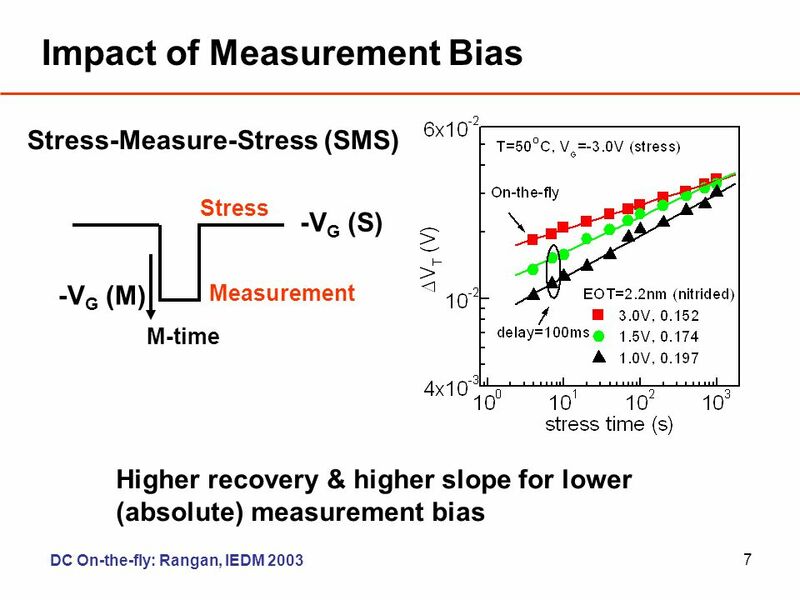 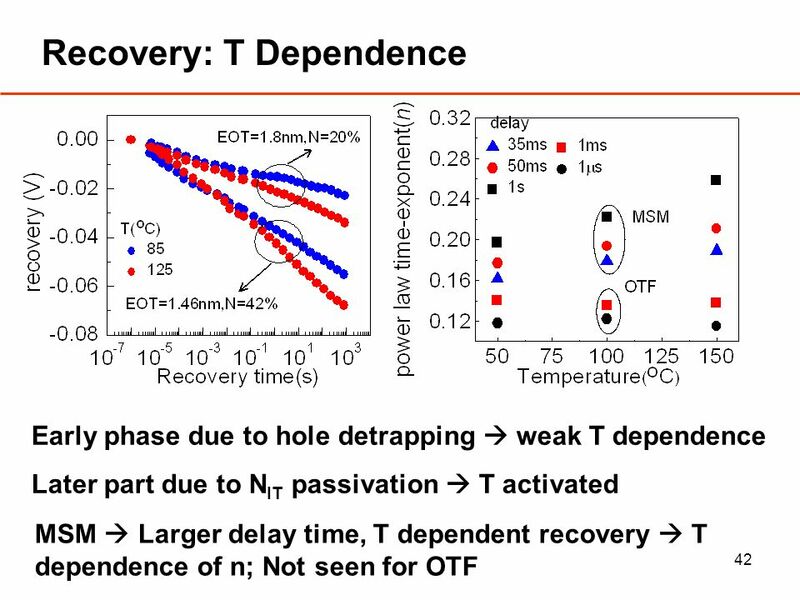 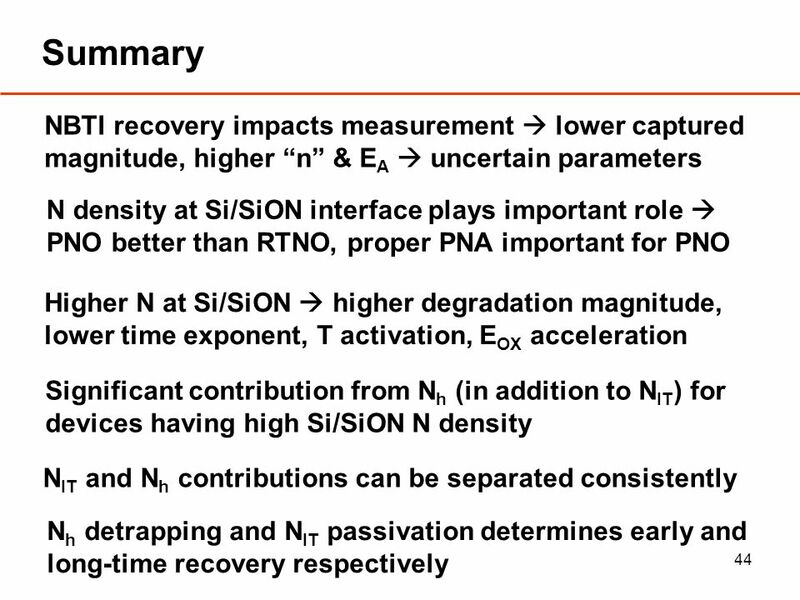 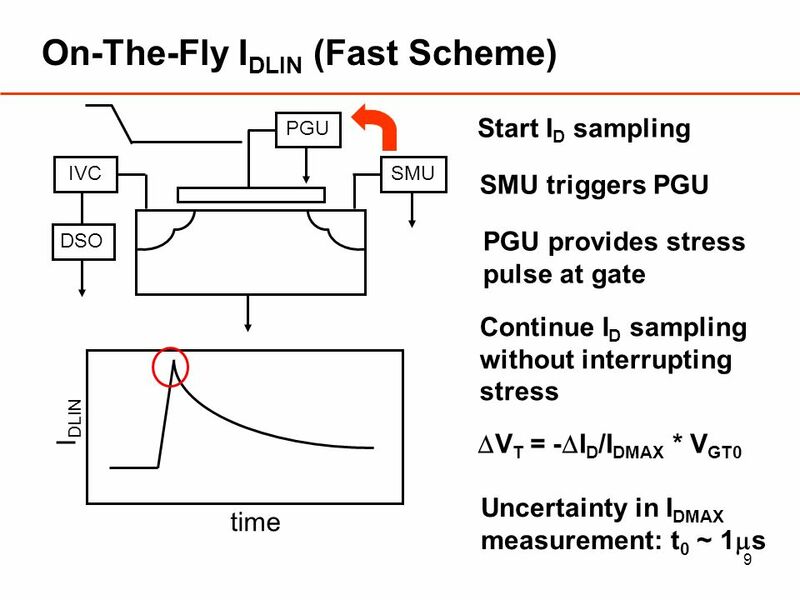 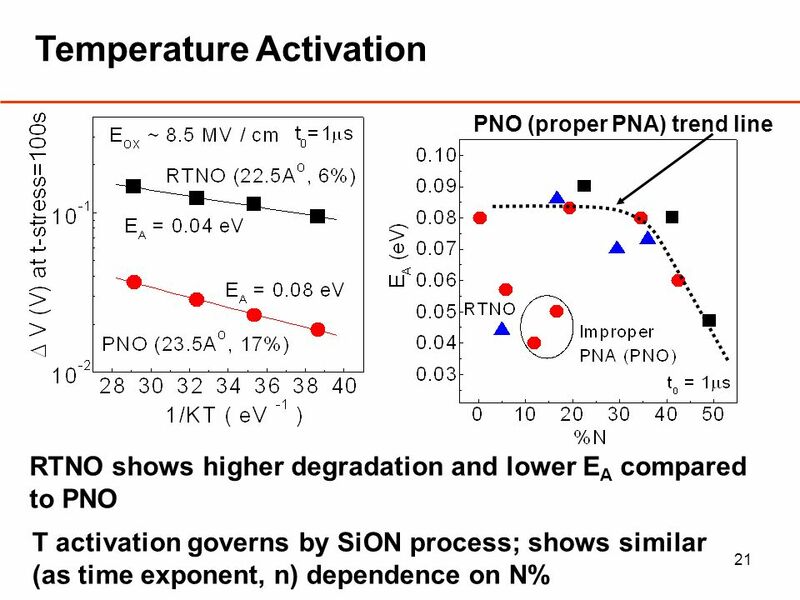 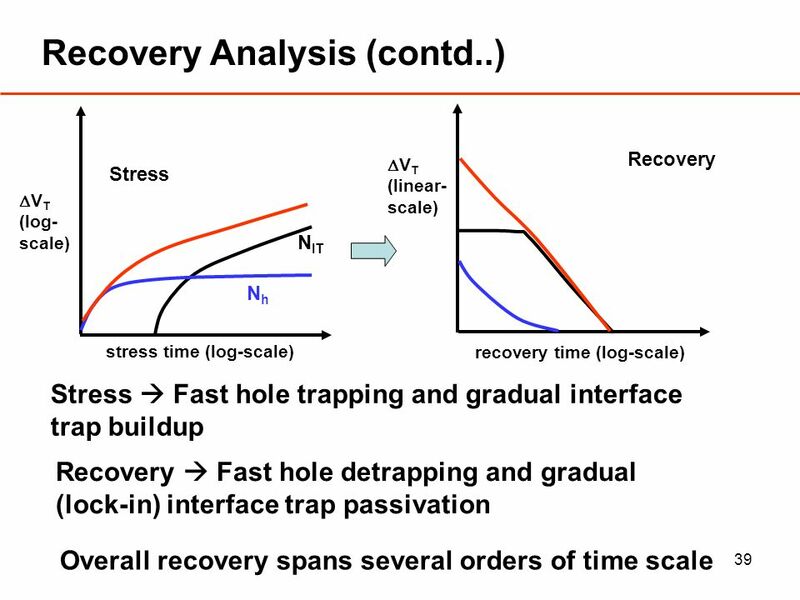 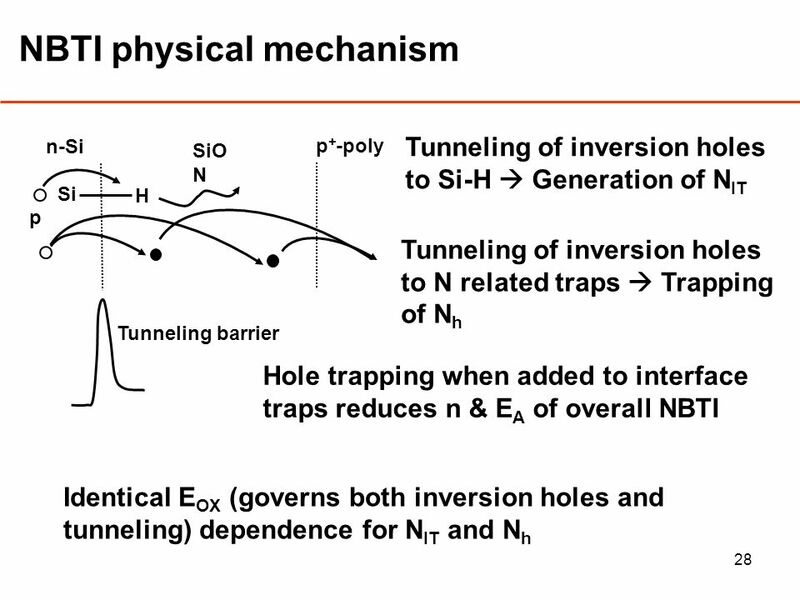 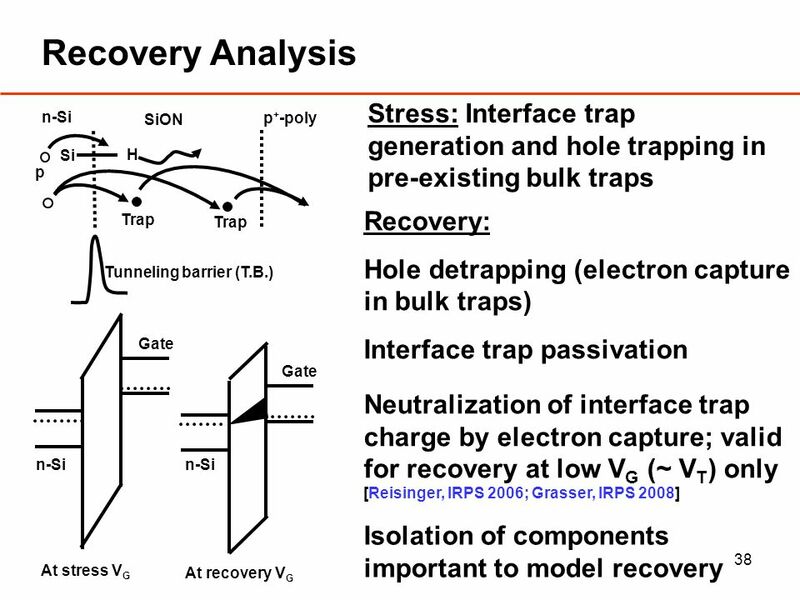 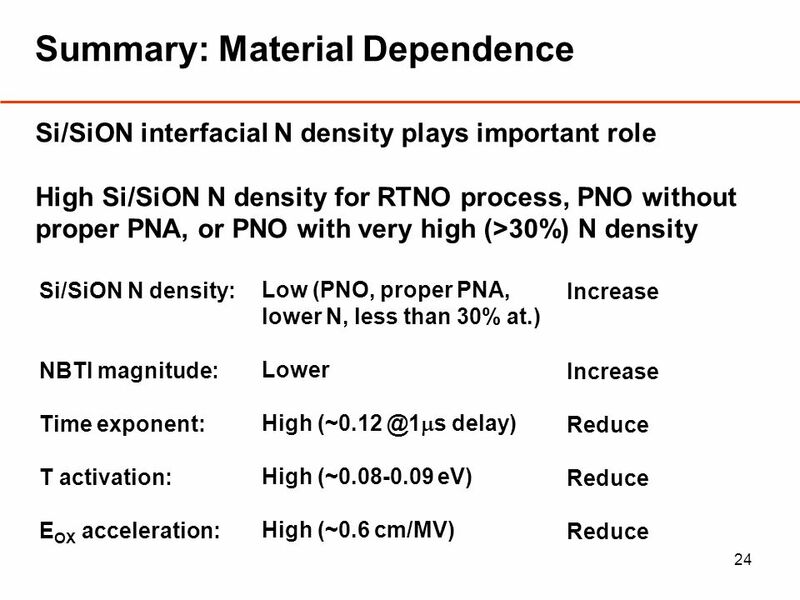 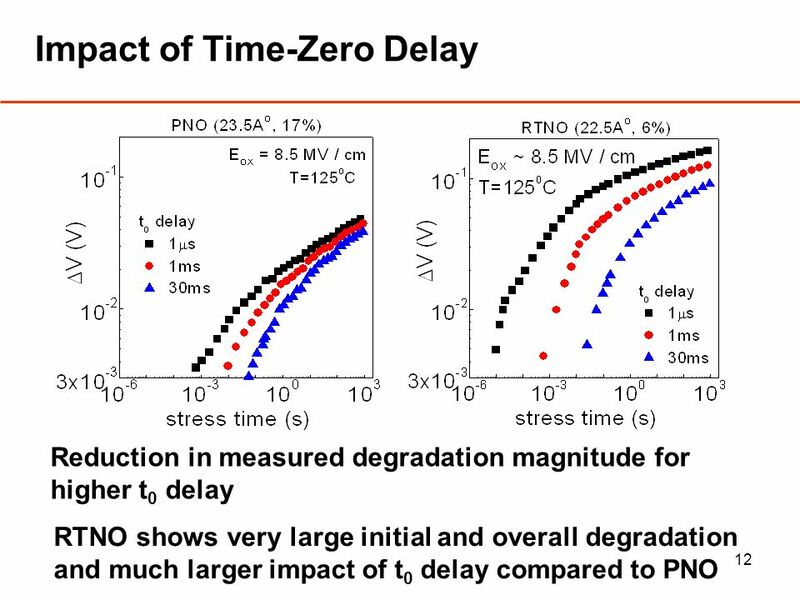 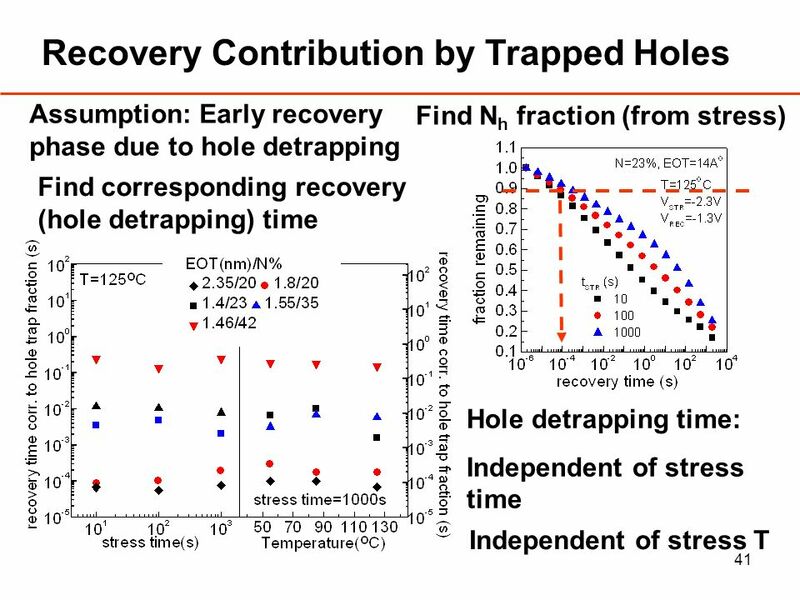 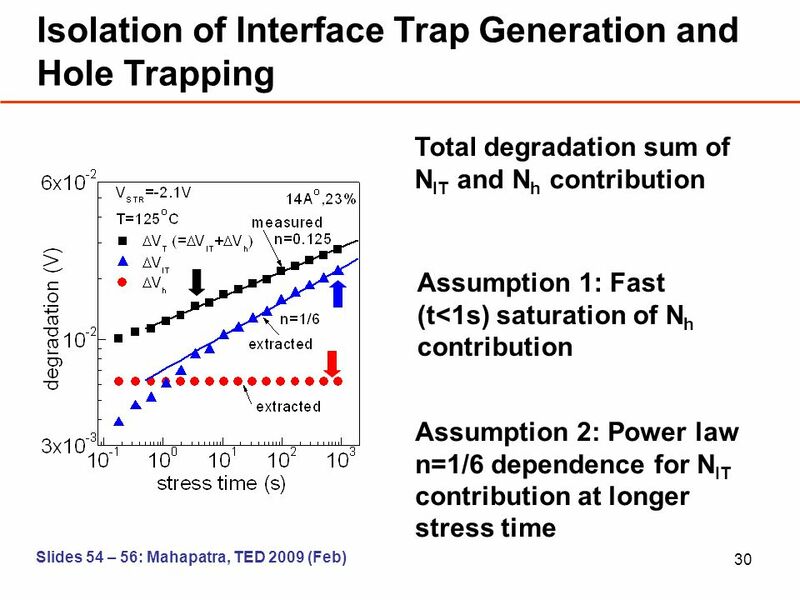 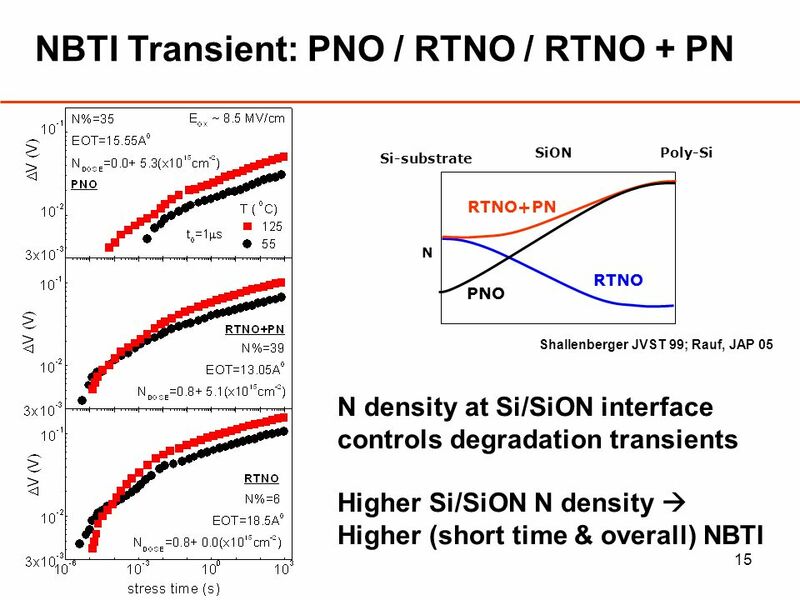 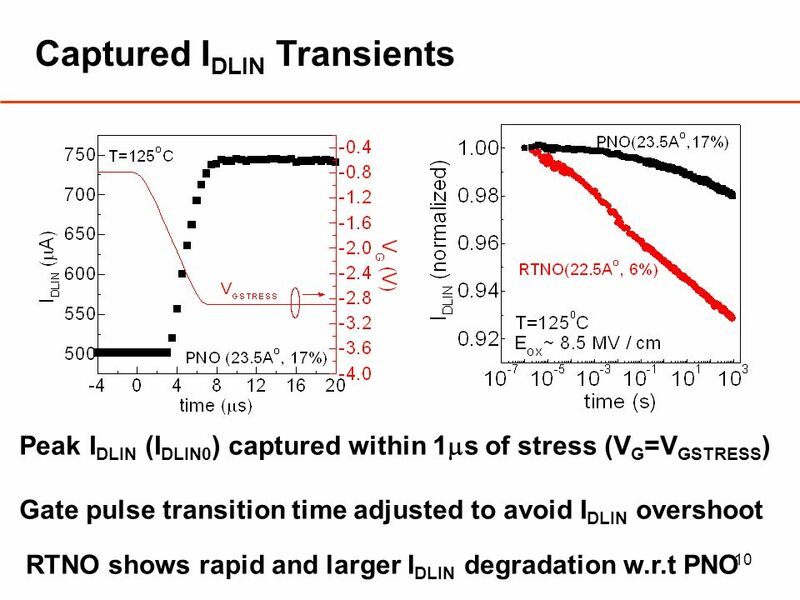 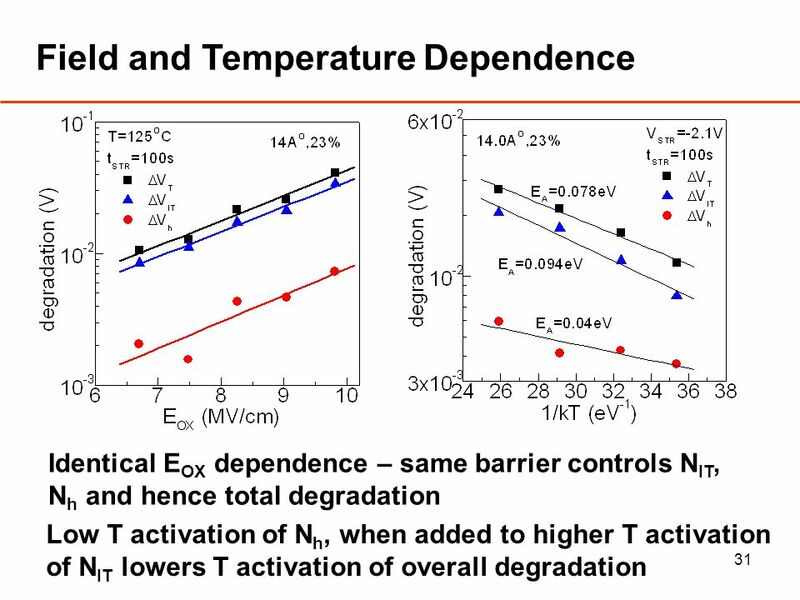 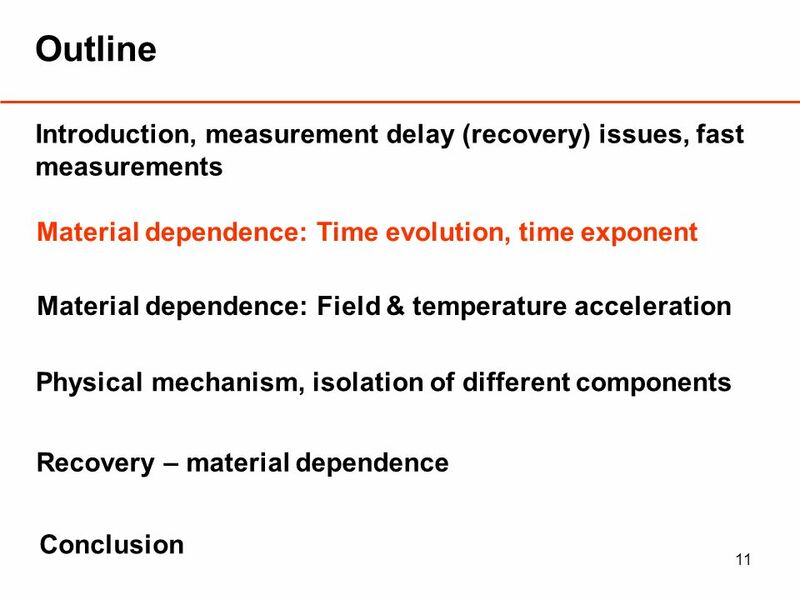 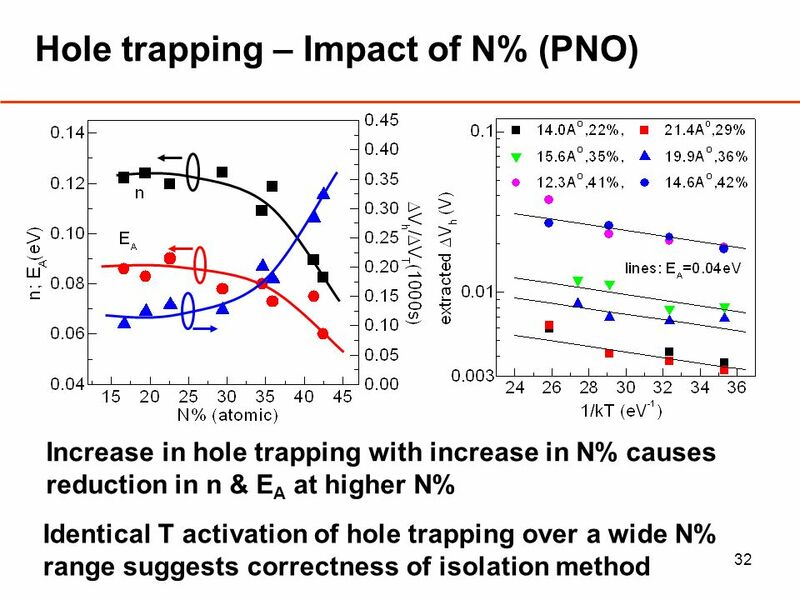 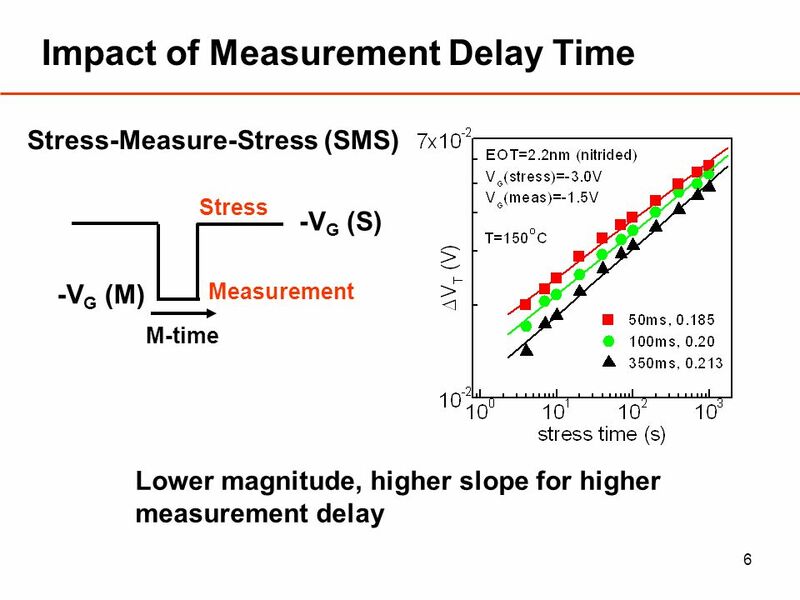 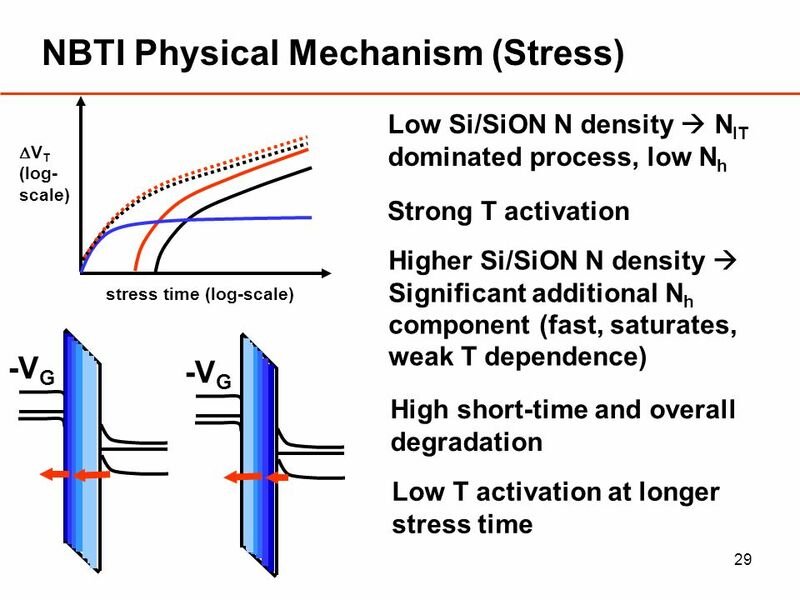 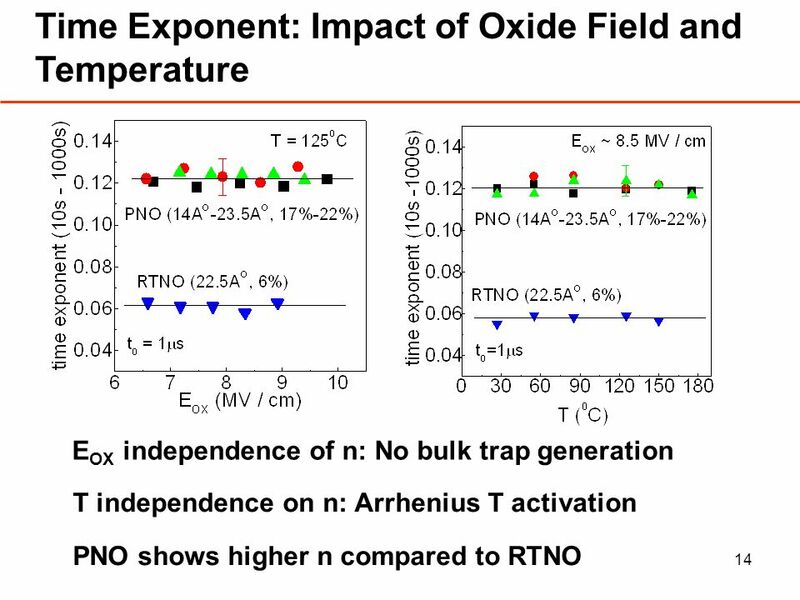 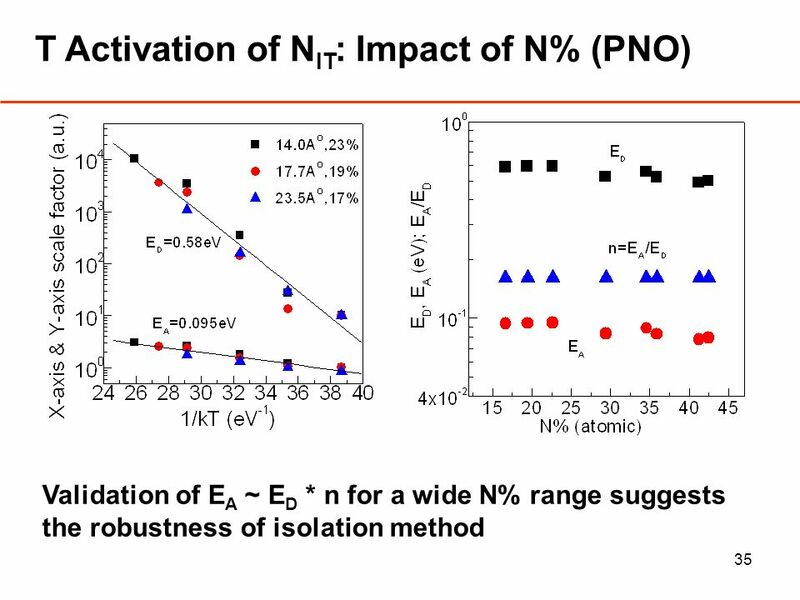 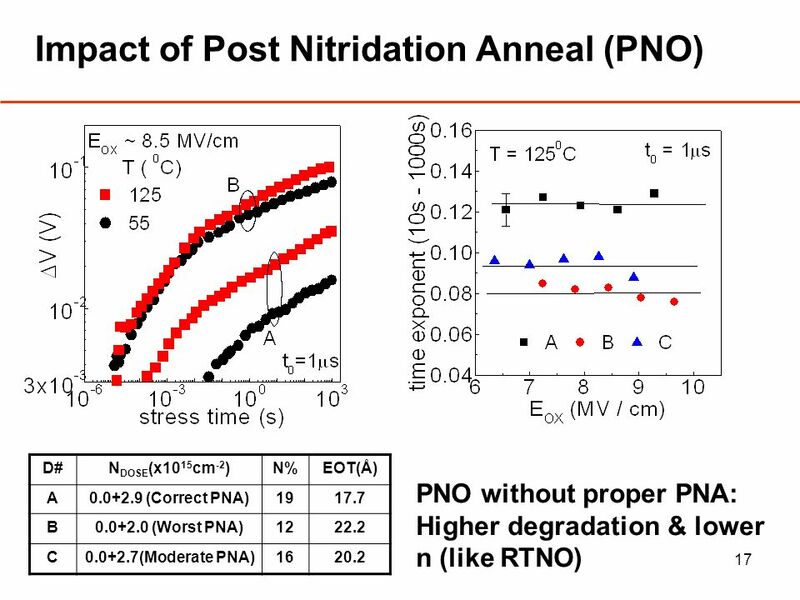 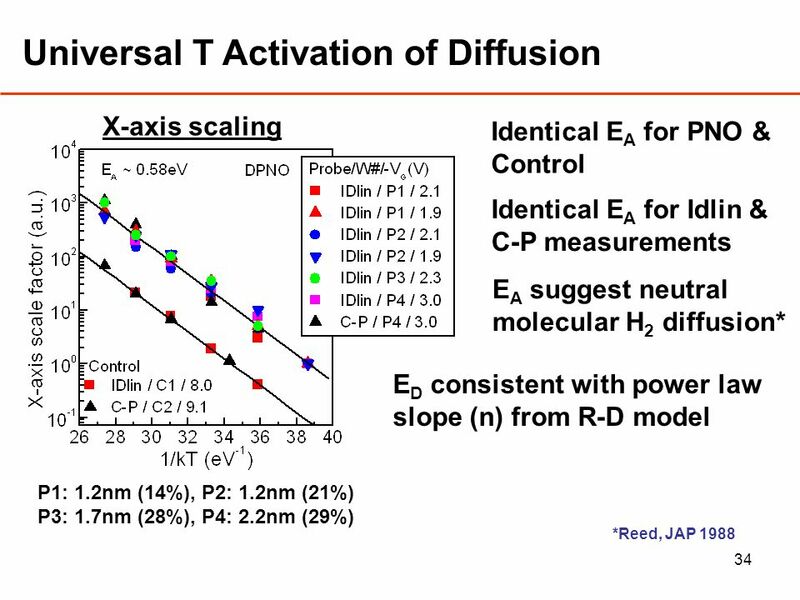 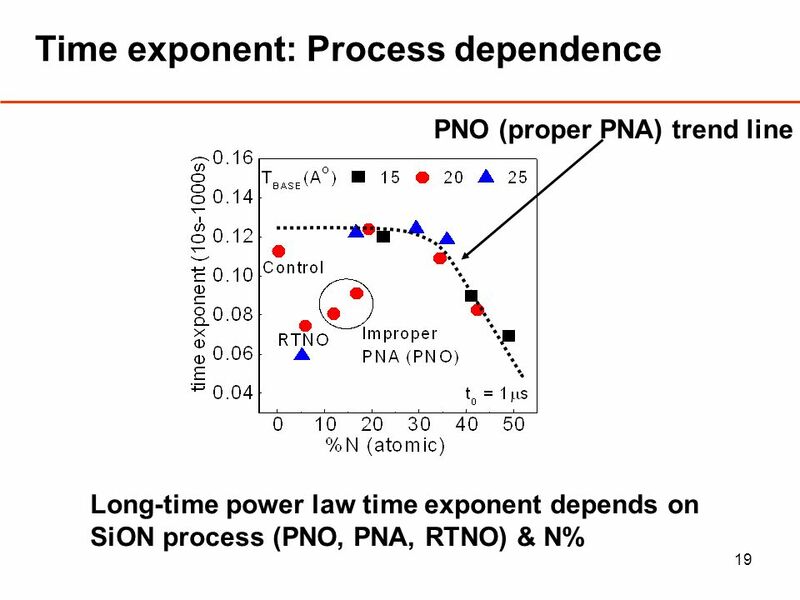 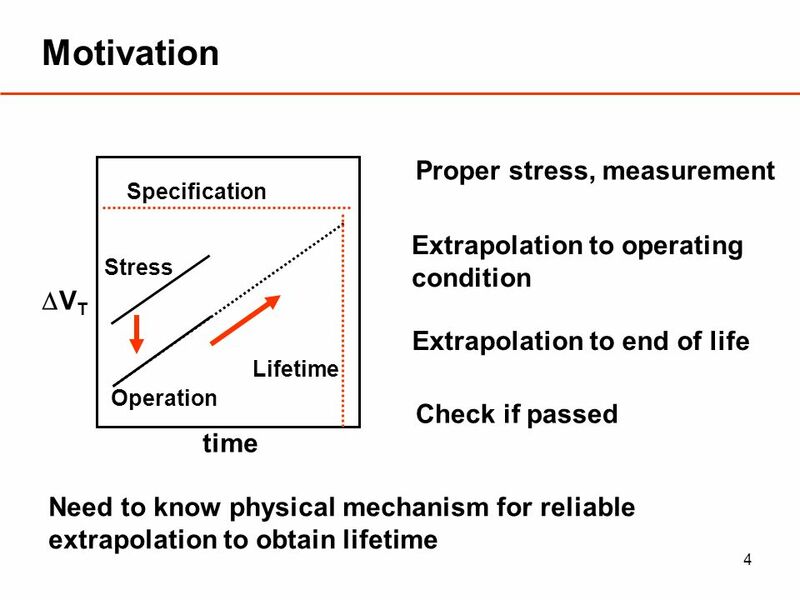 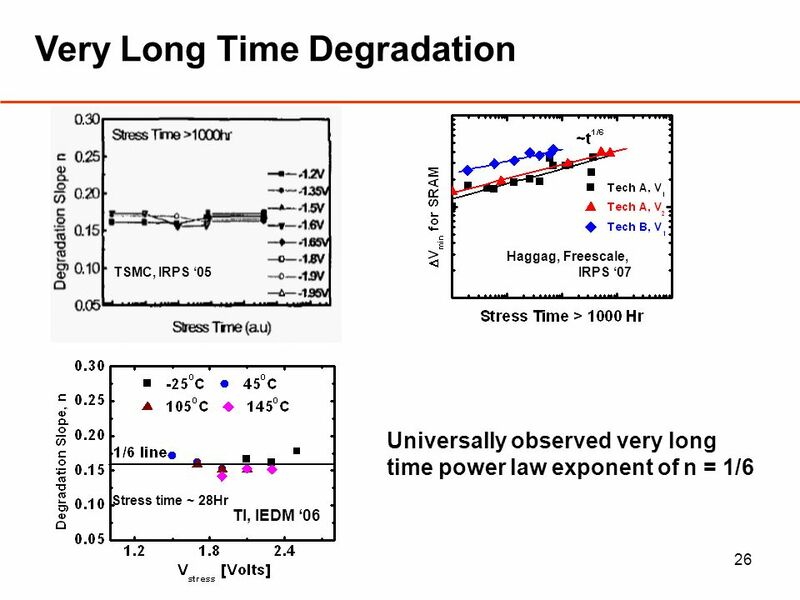 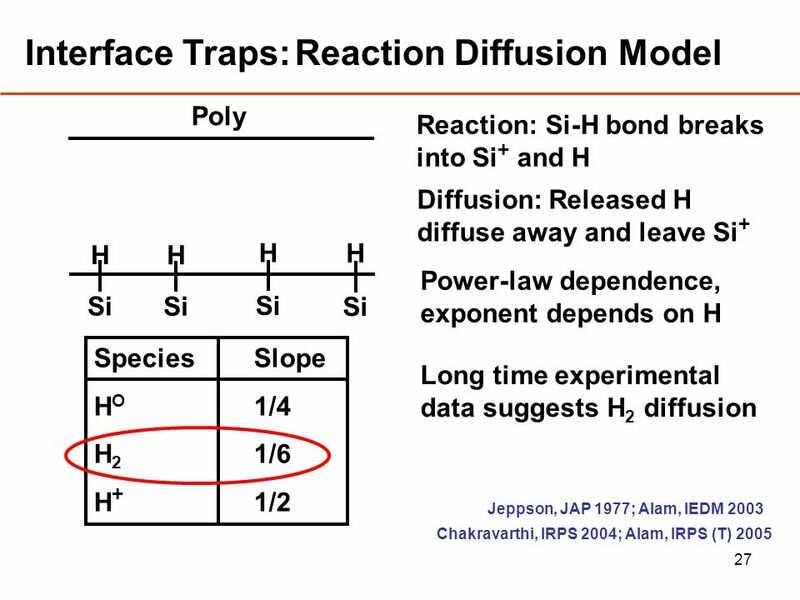 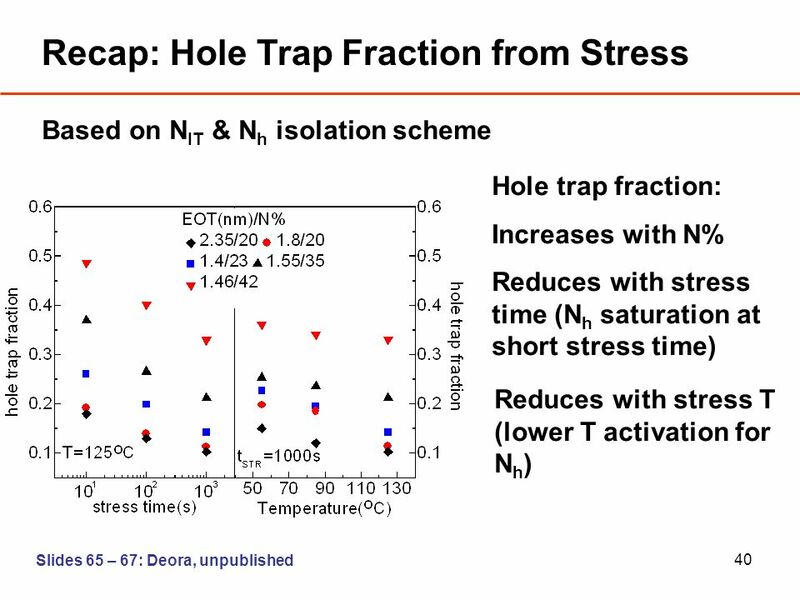 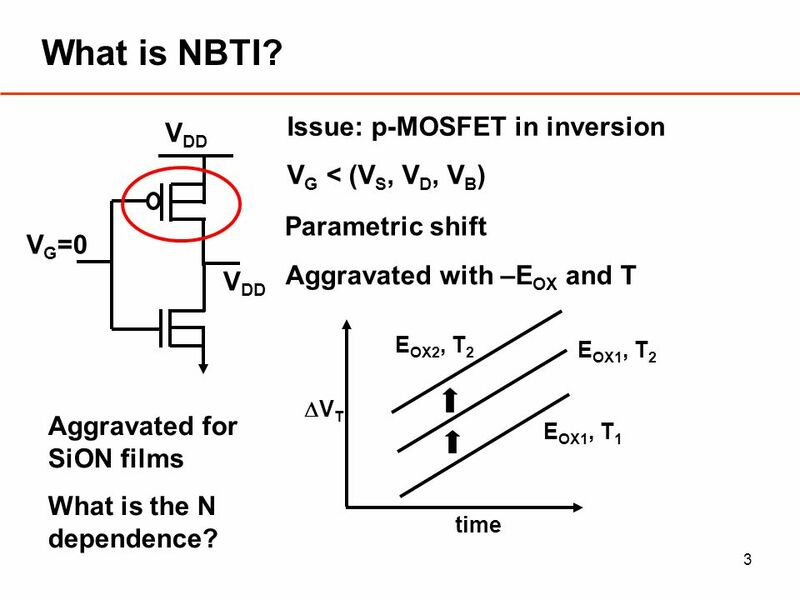 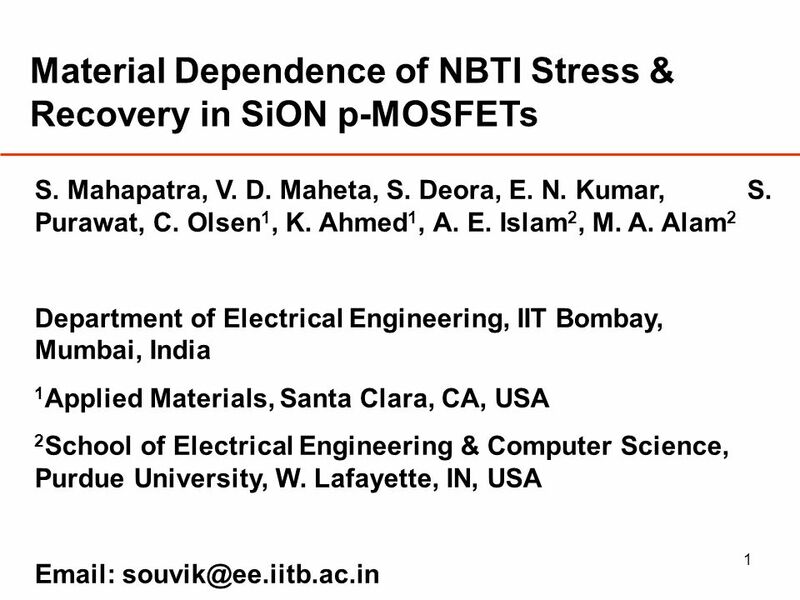 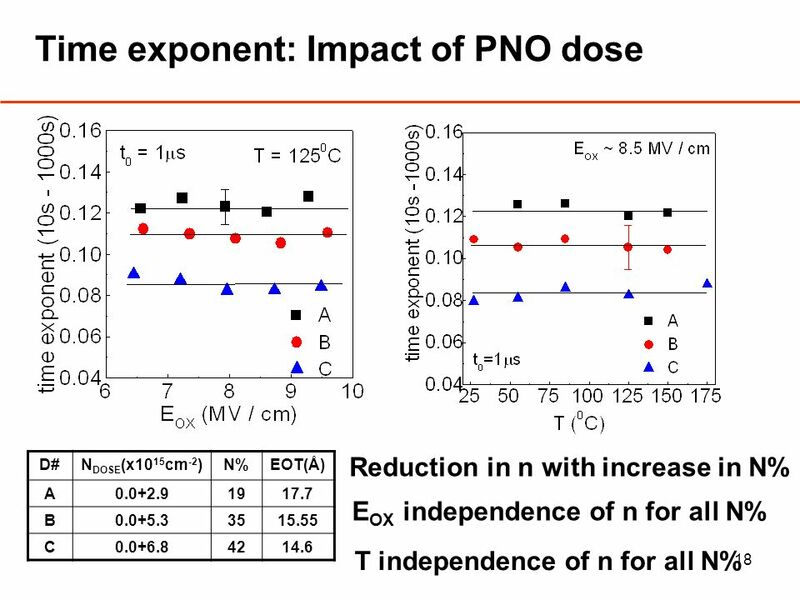 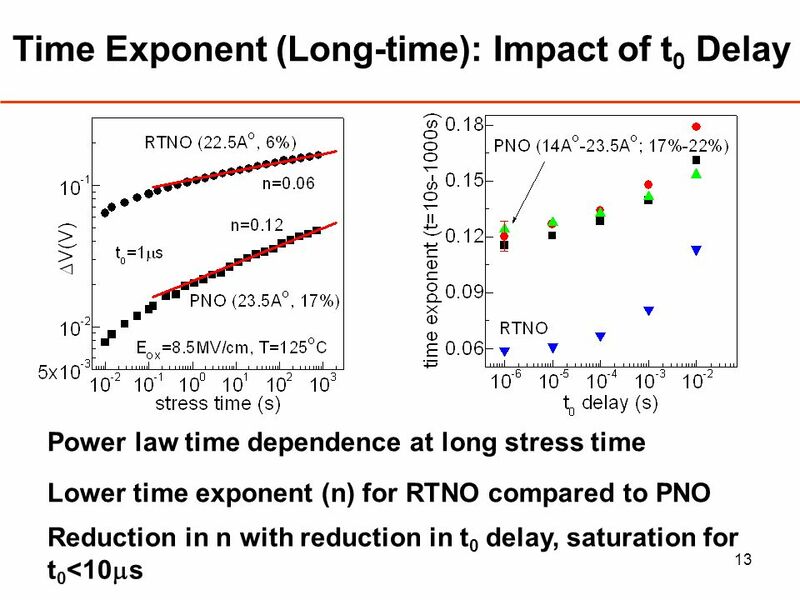 Download ppt "1 Material Dependence of NBTI Stress & Recovery in SiON p-MOSFETs S. Mahapatra, V. D. Maheta, S. Deora, E. N. Kumar, S. Purawat, C. Olsen 1, K. Ahmed 1,"
Ion Heating and Velocity Fluctuation Measurements in MST Sanjay Gangadhara, Darren Craig, David Ennis, Gennady Fiskel and the MST team University of Wisconsin-Madison. 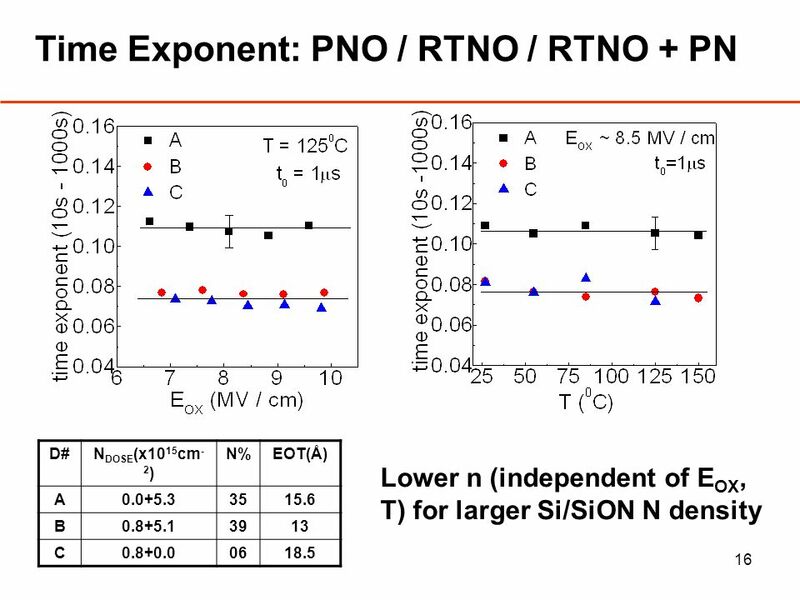 Moisture effect on the dielectric response and space charge behavior of mineral oil impregnated paper insulation Jian Hao1, 2, George Chen2, Ruijin. 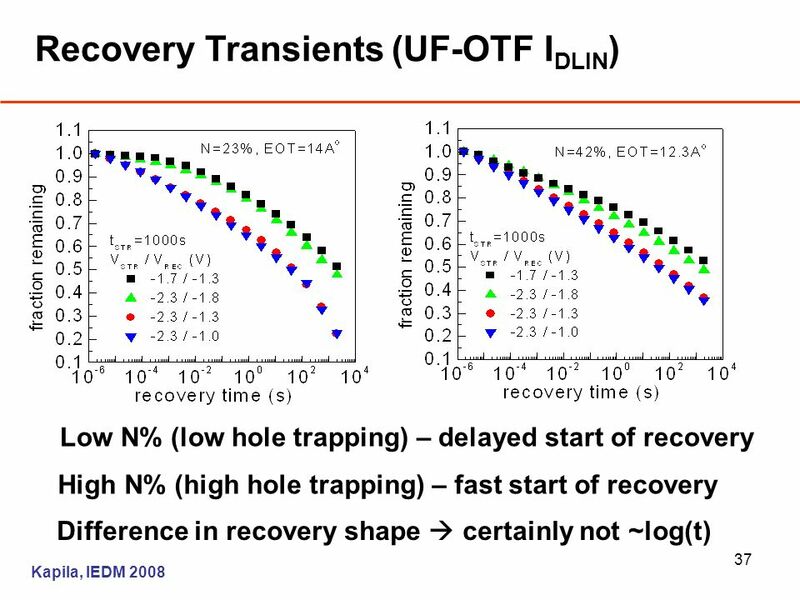 10-Nov-2005US ATLAS Tracking Upgrade Santa Cruz 1. 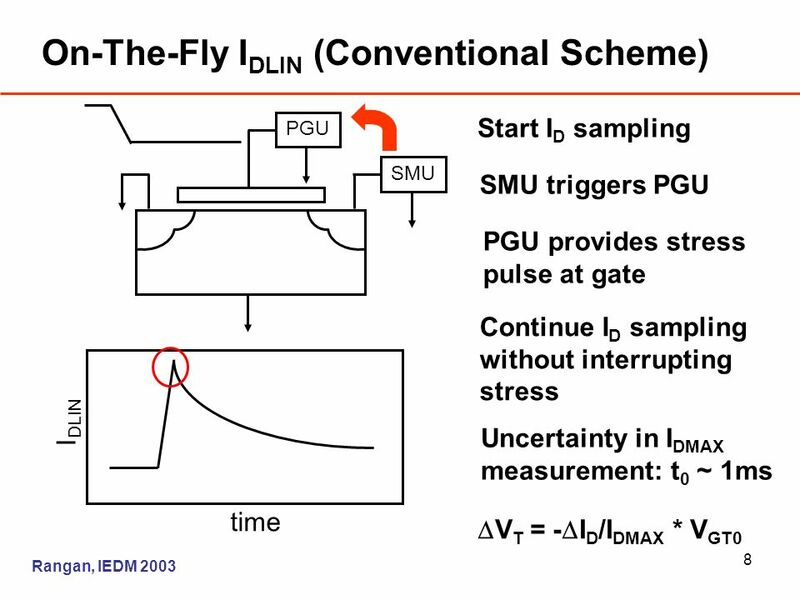 MOS – AK Montreux 18/09/06 Institut dÉlectronique du Sud Advances in 1/f noise modeling: 1/f gate tunneling current noise model of ultrathin Oxide MOSFETs. 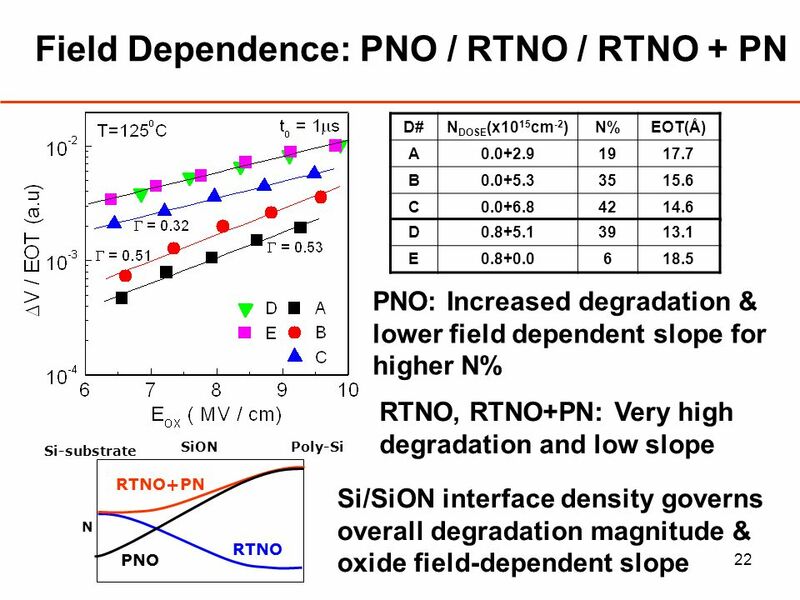 Institute of Microelectronics, PKU SINANO Workshop, Montreux, Switzerland Sept. 12~16, 2006 Reliability Degradation Characteristics of Ultra-thin Gate. A G R E A T E R M E A S U R E O F C O N F I D E N C E K E I T H L E Y C O N F I D E N T I A L – P R O P R I E T A R Y © Copyright 2004.